Having a freezer filled with already prepared foods is a convenient way to put a nutritious meal on the table even on those busy nights when your family has several other obligations. 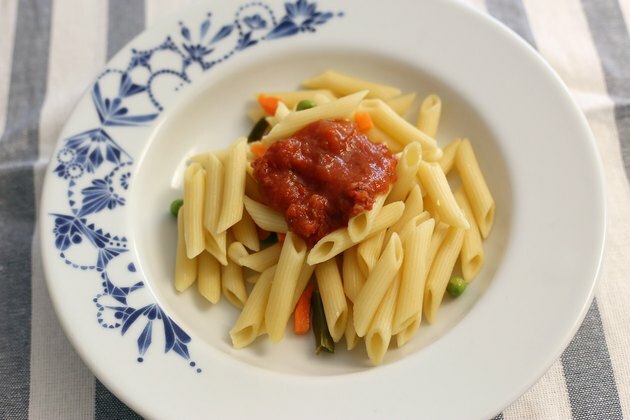 Pasta sauce is one of the foods that you can easily freeze, thaw and add to cooked pasta to prepare a nutrient-dense meal that takes just minutes to prepare. 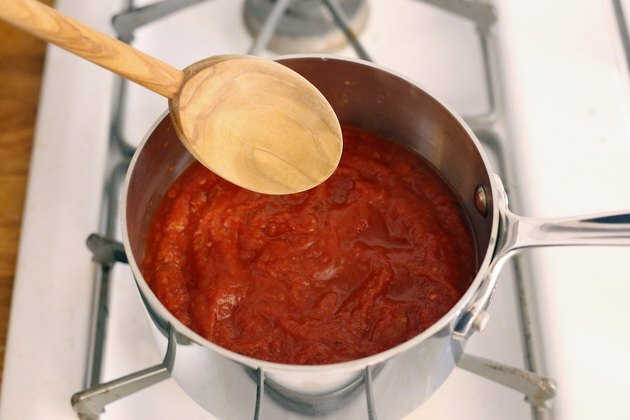 Make your favorite pasta sauce according to the recipe and allow it to cool fully before preparing it to be frozen. 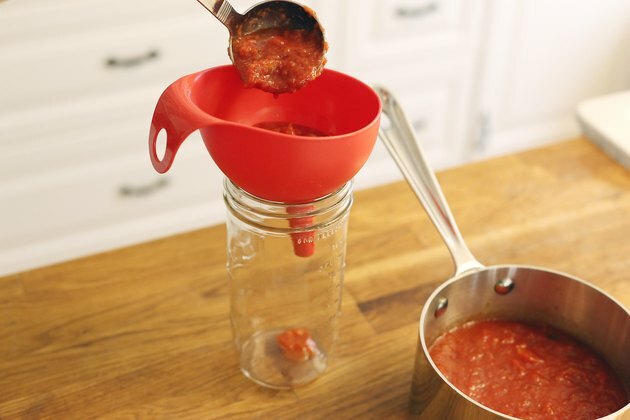 Keep in mind that certain types of pasta sauces freeze more easily and with better results than others. Tomato-based sauces tend to freeze the best and thaw with the best results, but meat-based sauces can also stand up to freezing. Creamy sauces, such as Alfredo, can be frozen, but they don't thaw as well as tomato-based pasta sauces. Let the cooked pasta sauce cool completely before transferring it to freezer-safe containers or bags. Use containers or bags made expressly for freezing foods, because they're less likely to leak and to absorb odors from other foods in your freezer. 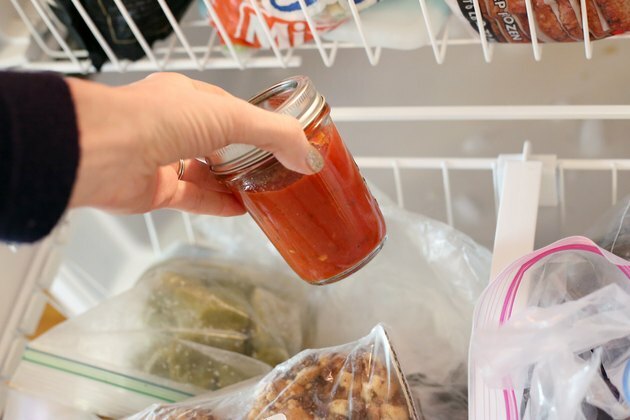 Leave an inch or so of space at the top of the container or freezer bag, because the pasta sauce will expand as it freezes, according to University of Missouri Extension. Most pasta sauces can stay in the freezer for up to three months before they lose their quality and taste. Don't let your homemade pasta sauce sit out cooling for too long before transferring it to the freezer. 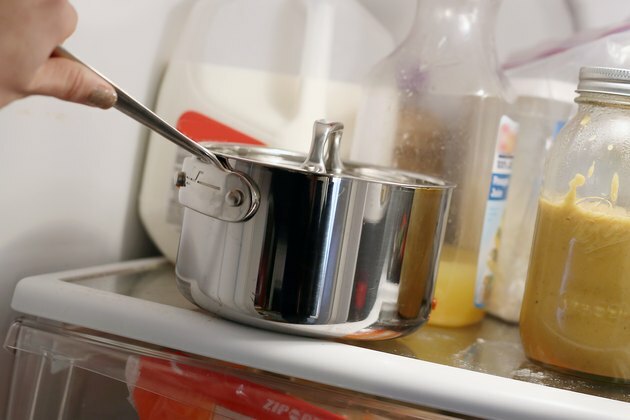 Leaving cooked foods unrefrigerated for more than an hour or two can allow bacteria to grow, which can make you sick later when you eat the food. In fact, if your pasta sauce contains meat, you should cool it in the refrigerator, according to University of Missouri Extension. Keep the pasta sauce covered while it's cooling, also to prevent contamination and bacteria growth. If you don't want to waste a huge batch of pasta sauce, try freezing a small portion and then thaw and test it to see if it retains its taste and texture. If you plan to freeze the pasta with the sauce, cook the noodles until they're slightly undercooked. Freezing pasta before it's fully cooked will prevent the noodles from becoming mushy when you reheat them, according to University of Missouri Extension.